Is exporting workable as a home-based business? EXPORTING is an ideal business that can be done at home. Many products exported from many countries are made by home-based entrepreneurs who discovered the ease of undertaking international business right from the comforts of their home-offices. Some exporting companies operate their manufacturing facilities in the ground floor of two story apartments, or even in the garage. Others do not even have any facility at all. Like any other business, exporting needs careful study. One has to be aware with various factors that could potentially affect the business as a whole. The following are points to remember during the first few months of your export operations. To avoid misconceptions about export financing common to beginners, we suggest that you consult your bankers and check how they will undertake payment of your Letter of Credit. If you have an established credit with your bank, then you do not have to worry. Otherwise, you may have to look for outside financing. New exporters must be aware that they cannot immediately collect their money from the Letter of Credit upon shipment of goods. They must submit a complete set of shipping documents as required in the Letter of Credit to their bank for collection. Their bank then submits these documents to the importing bank for collection. If everything goes well, payment of the shipment may be effected in little over than 30 to 60 days. In most cases, where an importing company buys goods from a new exporter, they normally wait for the shipment to arrive before authorizing their bank to pay the Letter of Credit. The reason for this, is to make sure that the shipment was undertaken as specified. However, if an Independent surveying company has been appointed by the buyers to make a survey of the shipment prior to loading and the surveyors certified the correctness of the shipment, then the payment period may not take long. Because of this time lag in getting paid for a shipment, a new exporter must prepare for this eventuality. Many exporters source out their supply from different smaller sources and these sources must immediately be paid. It is therefore necessary that the exporter must have ready funds to pay these suppliers. 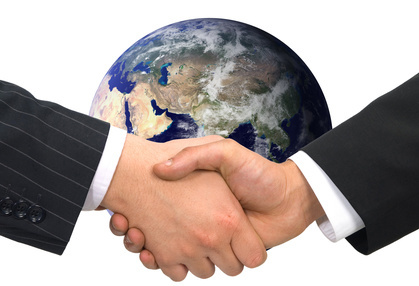 For new exporters, it is quite difficult to ask for an advance payment from buyers because of credibility reasons. Buyers will always secure their positions. In exporting, the most important factor to consider is reliability and fulfillment. If you can source out an exportable product and you are capable of fulfilling orders according to the terms and conditions of the sale, you are on the right track. The volume of merchandise that you can comfortably fulfill per shipping period. Reliability of your own suppliers. Customs tariff of your goods charged by the recipient country. Economic situation and banking conditions at the recipient country. As a new and ambitious home-based entrepreneur, your first step is to “crack your head” and “dig on your brains” to find that exportable product and the possible target countries. The product could be anything from Electronics, Household Items, Industrial products, Sporting Goods, Clothing, Shoes, Recyclable items such as waste paper and plastic, aluminum scraps, etc. To help you gain headway on your search, you can visit The Federation of International Trade Associations at http://www.fita.org The federation provides inexhaustible list of trade leads which you can browse and use for your business. You can also visit the US Department of Commerce website for more information and guidance. This is an easy decision to make. Unless your business is “Arms and Ammunition” or Missiles, you wouldn’t negotiate with someone in a war torn country or countries at war. You need to make sure that you can fulfill any offer that you will attempt to make. If you are the source yourself, you have to check your production capacities. Bear in mind that you will be shipping your merchandise in a minimum volume of at least 20 tons or in quantities that should fill a twenty foot shipping container. Smaller volumes or quantities would make your product more expensive to the buyers in terms of freight costs. Never take this aspect for granted because how you fulfill your shipments will determine your future in exports. You have to do the same scrutiny, if you are sourcing your products from different suppliers. If have more than one sources, you have to coordinate their delivery time. The failure of one supplier to deliver the goods to you on time can delay your shipment and can jeopardize any marketing program that your buyer may have prepared in anticipation of your goods’ arrival. If your goods are seasonal, make sure that you can deliver in springtime what is scheduled to be sold in summer, and so on. Your buyer can advise his bankers to hold or stop payment of the corresponding letter of credit and you might end up re-negotiating with your buyer for ridiculously reduced bargain price. Buyers have this option almost always stipulated in their buyer’s contract. Export prices are governed by several factors. Most often the prices depend on the kind of goods you intend to sell. Agricultural goods from agriculturally-rich countries enjoy some export incentives from their governments. Manufactured goods like electronics and machineries are also given government support. However, in most instances the importing countries charge high tariffs at the receiving country. Although, this does not affect you directly, it increases the landed cost of your buyers and affects the re-ordering process. Freight on Board (FOB): Your price includes the cost of the goods after you have loaded them on board a vessel. Cost Insurance and Freight (CIF): Your cost plus Insurance of the goods plus Freight. Cost and Freight (CandF): Your cost plus freight. Your buyer insures the goods. Free on Ship Side (FOS): Cost of goods up to shipside. In practical terms, your price depends on you and how far you want to go. Your buyer will take care where you left off. The cost of freight most often becomes the determining factor on how the sales is made. Your competition may be able to quote lower prices for having special freight rates from shipping companies, even if your costs are almost identical. It is worth checking the best freight rates even if the buyers pay for it. This brings you closer to the buyers and also strengthens your position come reordering time. In exporting, you rely so much on banks. Thus, you need to ensure that the macroeconomic situation and banking conditions in the importing country are stable. The most important part of your business is the buyer. However, you should always exercise prudence in your negotiations. We always recommend that you check out each and every company that you negotiate with. Before any negotiation gets any deeper and before you make any commitments, make sure that you have made pertinent credit investigation and reference check of your buyers. Should you doubt the credibility of your buyer, you can ask for more stringent payment conditions, such as payment upon confirmation of the sale or anything that relieves you of the worry of the payment. This is particularly important if the buyer does not have the ability to open Letters of Credit. If you have other contacts in the buyer’s country, request them to check. Even the Letter of Credit is not a guarantee that you will be paid, just in case you bump into an unscrupulous buyer. Like any other ventures, you need to exercise caution and keep your eyes wide open when you engage in the export business. Article originally published in January 2000.